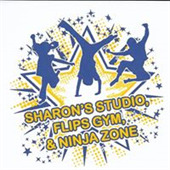 Welcome to Sharon's Studio, Flips Gym and Ninja Zone! Please complete the following registration and class information. Once you have submitted this information, your credit card on file will be charged this month's tuition (pro-rated if after the first week of the month) and the $35 yearly registration fee to save your space. Payments are non-refundable once paid. *I understand that I am required to have valid credit card or debit card on file. I understand that once I submit this registration today, my credit card on file will be charged my first month's tuition (pro-rated if after the first week of the month) and the $35 yearly registration fee. Then, tuition is due on the first day of each new month and will be deducted from my credit card on file. If my credit card is declined, then a $15 late fee will be added to the payment. See tuition agreement & payment information about payment and late fees. All registrations are first come first serve. The online registration process is not a guaranteed spot in class until we have received payment and you have received an email confirmation. I agree to allow Sharon's Studio/Flips Gym/Ninja Zone to initiate electronic payments on the first day of each new month for my account. I understand that if my card is declined then a $15 late fee will be added to the balance and will need to be paid before my child can return to class. I understand that my child is continuously enrolled in class and monthly tuition charges will incur on my account as of the first of each month. If my child must stop attending classes, I will inform the business office by written request at least 30 days before the drop date and it will take effect on the first day of the following month. An annual registration fee of $35 per family (not student) is added to my first month's tuition. I also know that when I register online, the registration fee and first month's tuition will be charged to my credit card to hold my child's spot in a class. These fees are non-refundable once paid. Auto-pay will continue until June 30th, 2019. As the legal parent or guardian, I release and hold harmless Sharon's Studio/Flips Gym/Ninja Zone, its owners and operators from any and all liability, claims, demands, and causes of action whatsoever, arising out of or related to any loss, damage, or injury, including death, that may be sustained by the participant and/or the undersigned, while in or upon the premises or in route to or from any of said premises. As the legal parent or guardian, I give permission to Sharon's Studio/Flips Gym/Ninja Zone, its owners and operators to seek medical treatment for the participant in the event they are not able to reach a parent or guardian. I hereby declare any physical/mental problems, restrictions, or conditions and/or declare the participant to be in good physical and mental health. By my attendance in class, I am granting permission for my child to be photographed for studio/gym postings in the lobby area, studio publications, website, social media, and advertising without remuneration. I understand that the studio/gym will make every effort to notify the class in advance if they intend to post any photos.